Sales analytics (also known as sales metrics) are a range of different ways to measure how your sales process and reps are performing. Tracking stage conversion and pipeline health analytics has huge potential to boost your sales revenue and accelerate your business growth. Given there are over 300 different sales analytics that you could measure, you need to select the analytics that will most help you to drive improved sales performance or you run the risk of data overload and a loss of focus. Pipeline Health Analytics – These analytics help you to ensure that the whole range of leads in your sales pipeline are healthy. This is key to maximizing sales because your sales team can only perform well if they have the right quality and quantity of sales opportunities to develop. Sales Stage Conversion Analytics – These analytics help you to understand how deals are progressing through each stage of your sales pipeline. As all experienced sales managers know, a loss of momentum through your pipeline kills deals, so monitoring these metrics and taking action based on what you learn is key to maximizing your sales performance. 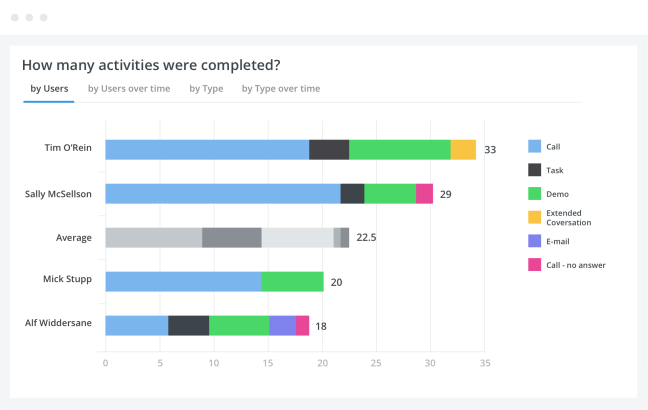 Sales Stage Activity Analytics – These analytics help you to understand the underlying sales and marketing team activity within each stage of your pipeline. This is key to driving your sales performance because performing certain core activities like cold calling has a direct impact on sales performance. Let’s take a closer look at each of these types of sales analytics and demonstrate how they can help you to improve sales performance and drive increased profits. Given the salary cost of your sales reps, it’s important to ensure that each has enough deals to keep them fully occupied without being stretched so thin that it starts to undermine their performance. In my experience, 50 sales opportunities per sales rep is a good place to start. If your business is engaged in particularly high-value, complex sales, then this could be reduced. Similarly, if each deal is simple to execute in 5 or less stages, then each rep may be able to manage more sales opportunities. The way to identify the ratio of active sales opportunities per sales rep for your business is to keep adding more until you start to see an adverse effect on conversion rate and activity metrics. This will indicate that they have insufficient time to attend each opportunity properly. It’s worth noting that the ration for each of your sales reps may differ according to how efficient and effective they are. Typically rookie sales reps will need more time to manage each opportunity effectively and I would recommend starting them with 25 active opportunities. Monitoring this sales metric allows you to anticipate that there will be insufficient sales opportunities in the future so that you can increase the focus on lead generation before your sales pipeline starts to run dry. Understanding the price at which most of your deals are won can help you spot deals that are over or under priced in your sales pipeline. A healthy deal value will be close to your average deal size or 100% if you are using the equation above. If it falls below 100% you are eating into your profit margin and you will want to understand whether there is a good reason for this or not. It’s even more important to understand which deals are over-inflated or significantly over 100% if you are using the above equation. This is because you do not want to inflate your sales forecast, as this can start to negatively impact your cash-flow. It’s important for the sales manager to monitor this because often inexperienced sales reps like to believe in their own “pipe dreams.” It’s great to be positive, but you also need to be realistic. CRMs makes it easy to see the value of each deal in your sales pipeline at a glance. In the example below, the Net Suite deal is inflating the value of the sales pipeline and if this is not addressed, it could have a crippling impact of cash-flow when (in all likelihood) it fails to close successfully. Understanding the average time that it takes to complete a deal successfully from the point when it enters your sales pipeline to the time when is successfully closes is another key sales pipeline health analytic. As any experienced sales manager knows, the longer a deal sits in the sales pipeline, the less likely it is to close successfully. This is because it more than likely suggests that either the prospect is losing interest and becoming difficult to contact or the sales rep is too busy to properly attend. A healthy deal age will be close to your average deal size or 100% if you are using the equation above. If it falls below 100%, that’s usually good news because it means the deal is maintaining good momentum and the customer is helping to prioritize getting the deal successfully concluded. However, it the deal age starts to become significantly older than the average in any given stage, this usually means the customer is getting cold feet. Deals that are stalling need immediate focus to identify why they are stalling and what can be done to get them moving again before the opportunity is lost. This usually results in the sales rep prioritizing communication with the prospect to understand what is the cause of the delay. Even if turns out that the sales opportunity is lost, it’s better to find this out sooner rather than later so that it prevents over-inflating the sales forecast. Your win rate is the number of deals that you close successfully divided by the total number of sales opportunities that enter your sales pipeline multiplied by 100. This tells you how effective your team are at successfully closing deals. It’s also one of the biggest components of your cost of sales. This is because if your win rate increases from say 10% to 20%, you can complete twice as many deals with the same number of sales reps, which is your main cost of sales. Conversely, your business can rapidly become unprofitable if your win rate worsens. Now that we have ensured that the overall sales pipeline is healthy, we can turn our attention to the individual pipeline stages. Your win rate (explained in the section above) summarizes your overall conversion rate. However, you need to analyze how deals are converting from one stage to the next in order to identify areas of improvement that can boost sales and increase your profits. Sales opportunities enter your pipeline as cold prospects and then either convert successfully to each subsequent stage until the deal is won, or are lost at some point in the process. Understanding the conversion rate of leads from one stage to the next makes it easy to discover which stage(s) you are losing the most leads. Then you can focus your efforts on improving the stage with the weakest conversion rate, where improvement has the most potential to boost sales and increase profits. In the above example you can see my conversion rate for each sales funnel stage. Successful conversion are shown in yellow, and loses are shown in red. In this example, you can quickly identify Proposal Presented as my weakest stage, with 30% of potential customers dropping out at this time. Investing my time and energy in improving this stage would be the best way to boost sales converted and increase profits. Having identified the stage that needs to be improved, you can also look at each sales reps’ individual pipeline to see which sales rep is completing this stage most successfully. In our example above, I would want to know how this sales rep is presenting their sales proposals differently to achieve better results. Then this best practice can be shared with the rest of the team. You could also brainstorm potential solutions with you team and mystery shop your competitors to see how they convert customers at this stage, then AB test and measure to see how they take effect. The other key way to improve your sales conversion rates is to take a more detailed look at the activity that supports each of your sales stages. This is the third and final set of sales metrics we’ll cover next. The final type of sales analytics I recommend you focus on allow you to measure the activity that helps to underpin sales conversion at each stage in your sales pipeline. A quality CRM software makes it easy for both the rep and the sales leader be able to easily see what sales activity needs to be performed and to see at a glance whether or not it has been completed. Experienced salespeople will not want to be micro-managed, particularly if they are consistently hitting their numbers. Nevertheless, you need to know that the sales activity your team is executing will deliver your sales forecast. Let’s look at some of the key sales stage activity that usually indicates that a rep is going to be in good shape to convert sales opportunities at each stage of a 5-stage sales pipeline. At this stage you need to be measuring lead generation activity. This may be performed by your marketing execs, your sales execs, or more likely a combination of the two. I would personally expect marketing and sales to generate 50% each. 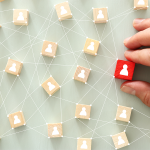 Marketing execs will typically be tasked with content marketing to generate leads from a range of web channels, including social media, email and web. They may also be tasked with supporting face-to-face lead generation via conferences and trade shows. There are a wide range of lead generation ideas worth exploring, however, for the purpose of this article I will focus on the activity usually tasked to sales reps. Cold calling – The best sales reps in my experience do not like to be too dependent on marketing for leads. Rather they build a network and use tools like Sales Navigator to identify prospects to cold call. Cold emailing – Some sales reps like to cold call first and then send a email to follow-up, Others find it more effective to do their research and send highly personalised emails out to each prospect the are targeting. In a startup or small business environment, I would expect each sales rep to generate their fair share of lead generation. Experienced reps can pull these from their little black book if they have one and less experienced reps can hit the required cold calling and cold emailing targets to generate the same volume of new sales opportunities. Measuring this activity and making it visible by ensuring that it is reported on at the weekly sales meeting will help to keep everyone honest and your sales pipeline brimming with new sales opportunities. The key activity at this stage is following up cold prospects by phone and email. While it will vary depending on the type of product you’re selling, most experienced sales people find it takes on average 6-8 touches to successfully convert a cold prospect into a qualified lead. Again, this is important to report in weekly sales meetings to ensure high visibility of activity that is a grind at best for most sales reps but essential to the profitability of your business. The above could act as your starting point if you are just setting up your business and then you can measure these activities and adjust your approach based on what is most effective at converting sales opportunities to the next stage. Follow-up is also key at this stage. An experienced sales rep will try to identify whether there are any outstanding objections during the sales pitch. Then they will follow-up within 24-hours to elicit feedback and ascertain whether there are any final objections to overcome prior to entering price negotiation. The other key activity is to keep on following up until the deal is either lost, entering a further round of objection handling or moved successfully into price negotiation. Outside of this, if your sales rep is able to negotiate the deal effectively, the deal should be one because the customer should already be aware of your ratecard price and their sales objections should have all be covered off before entering sales negotiation. An experienced sales manager aims to have a granular understanding of not only their own pricing, but also the pricing of the key competitors that they come up against regularly. This helps to avoid deals being unnecessarily lost on price alone. Sales analytics are ways to measure how your sales process and reps are performing. In this article I have shared three different types of sales analytics and how to use them to drive your profits. If you are managing a sales team, I recommend also reading How to Manage a Quota-Busting Sales Team in 6 Steps. To make it easy to adopt a data-driven approach to sales management, I recommend using a sales CRM as they automatically generate all of the sales analytics you are likely to require. 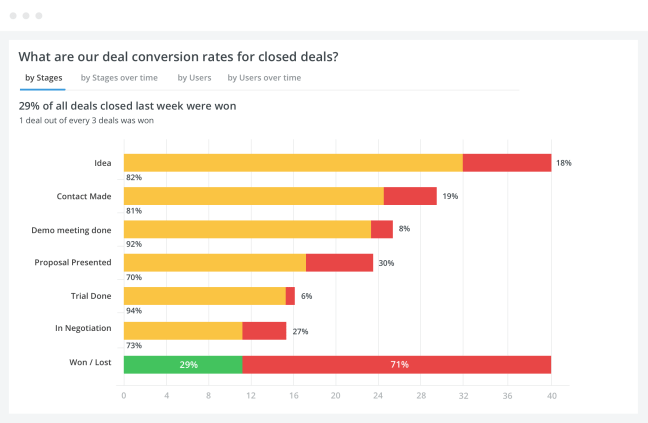 I recommend Pipedrive for small businesses because it focuses on the key sales analytics I have shared in this article.